For shoe protection, floor protection and job site safety in remediation and abatement projects, ems offers booties or shoe covers. 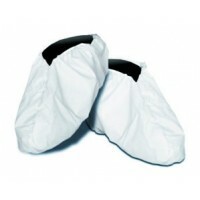 All shoe covers are non-conductive to help reduce static electricity. They are also available with a skid resistant bottom to help prevent slippage when walking or climbing stairs.